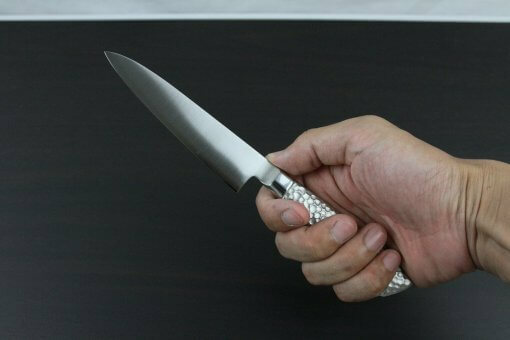 Petit knife looks like small chef’s knife. 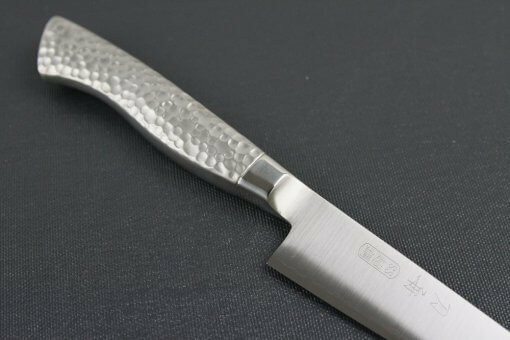 Actually, it can maneuver both small and big jobs; it enables you to intricately carve and style vegetables and fruits for beautiful presentations and garnishes; it can also be used to preparing meals. 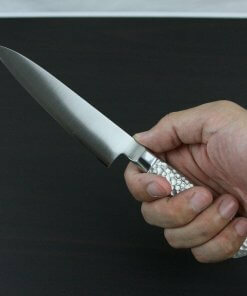 If you’re thinking to use in narrow space such as small table or mini-kitchens, petit knives work nicely. 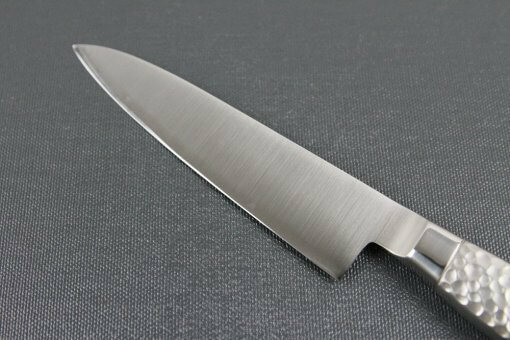 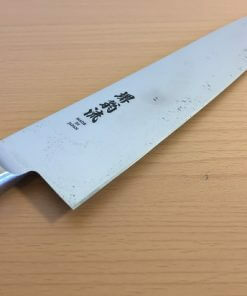 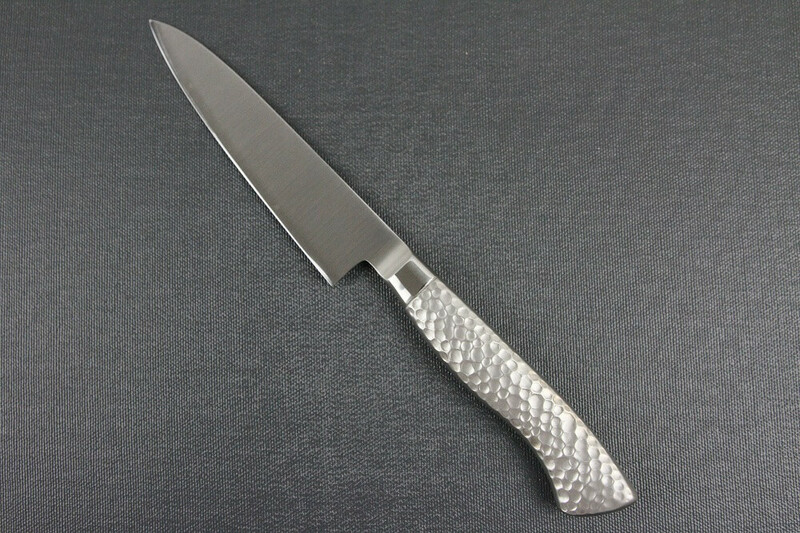 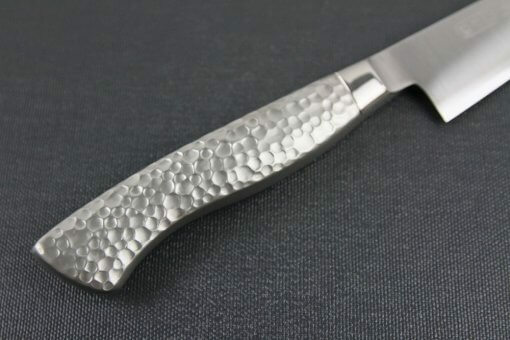 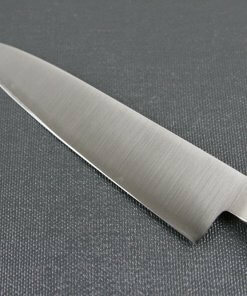 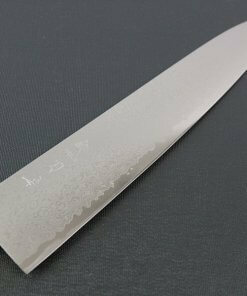 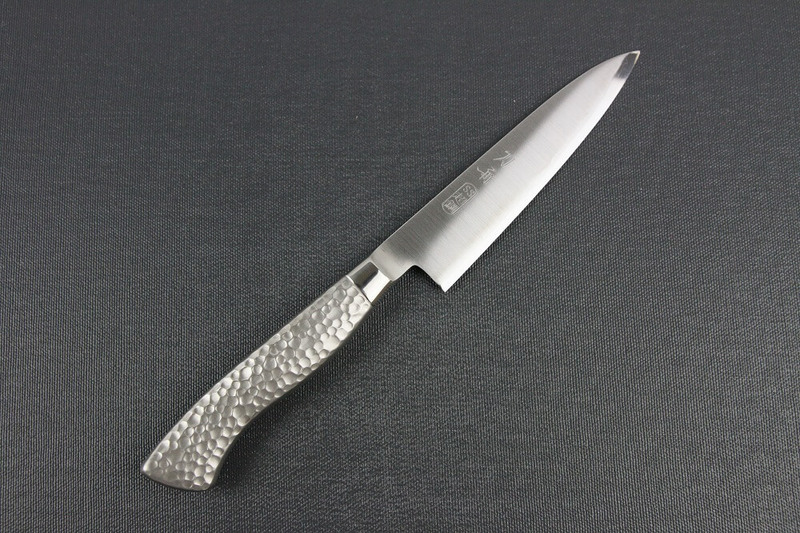 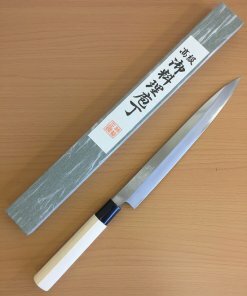 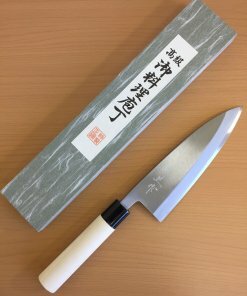 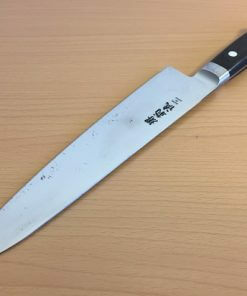 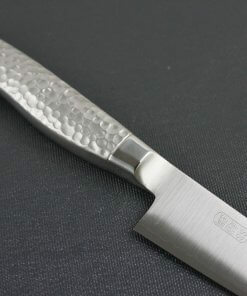 Although it is small, its cutting quality is totally same as larger knives. 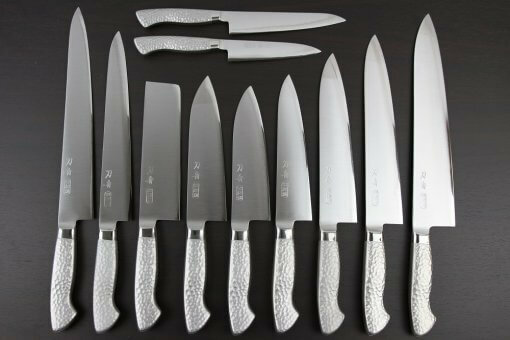 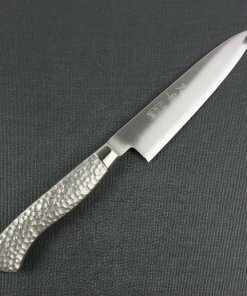 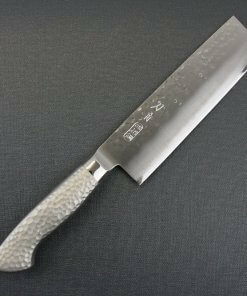 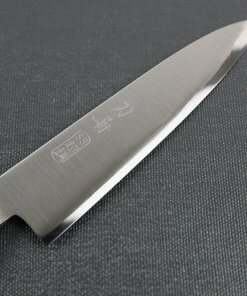 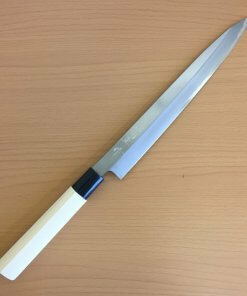 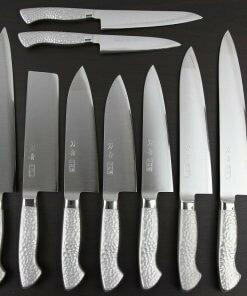 Toshu Elegance Monaka Series is a most popular series among Toshu knives. 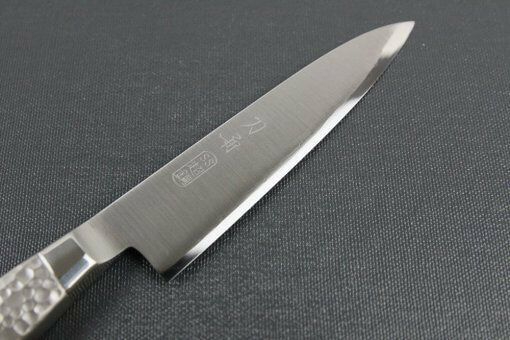 Blade is made by three layers; high quality VG-5 steel is sandwiched by stainless steels, which makes the blade sharp and rustproof. 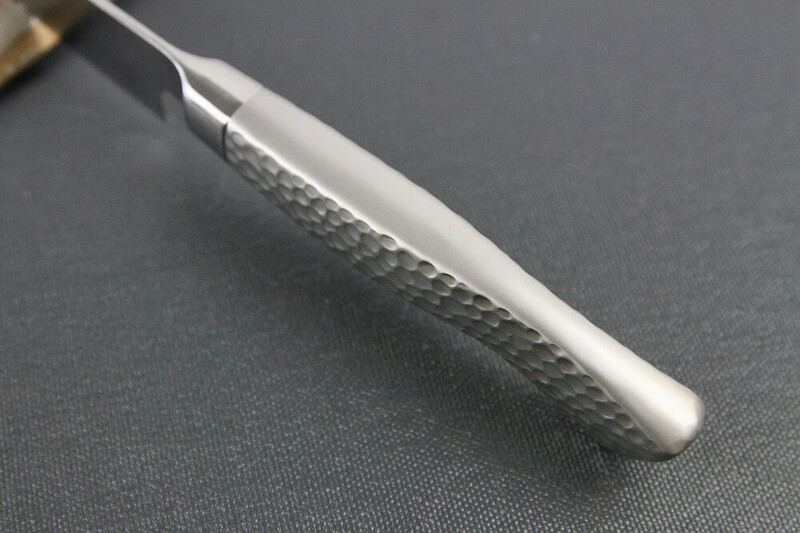 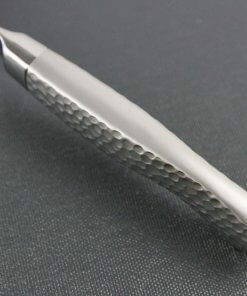 The VG-5 stainless steel made in Takeo Metals, one of the most famous material company. 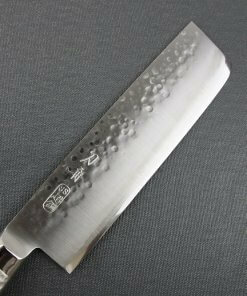 The difference between Elegance Monaka series and similar looking Hammer Finish series is making process of the blade. 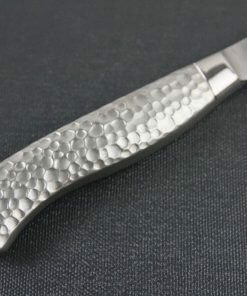 Unique hammered patterned blades of Hammer Finish series are made by hammering after heating the blade in order to strengthen its material by forging. 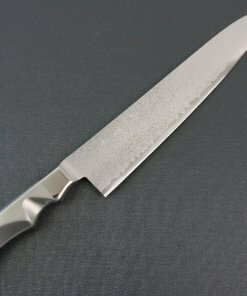 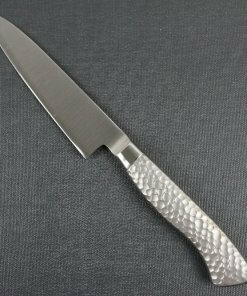 This Elegance series has simpler plain blade without that forging process, therefore prices are reasonable.